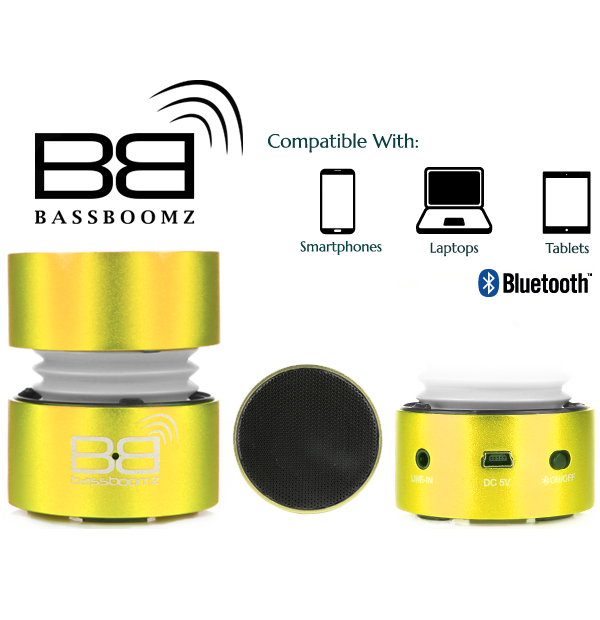 High performance portable bluetooth speaker "Portable, Powerful & Practical" Small in size. 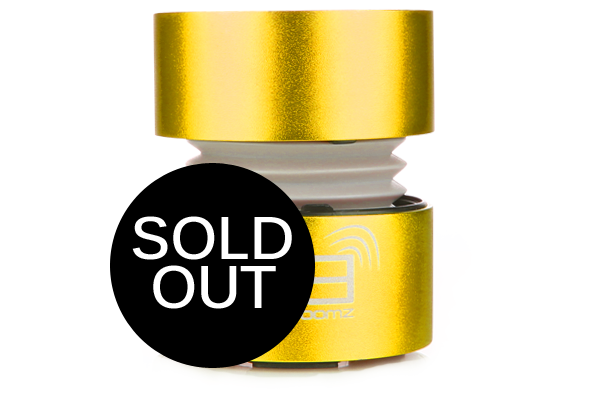 Big on sound! 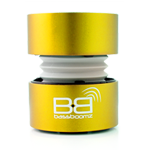 Our innovative Bass Expansion System (BXS) delivers a fuller, richer sound. 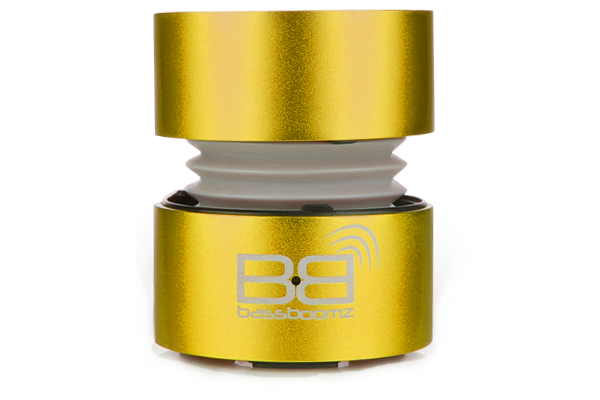 Connect two BassBoomz to one device for twice the power and twice the boom in spectacular stereo sound quality. Dual connection cable sold seperately. 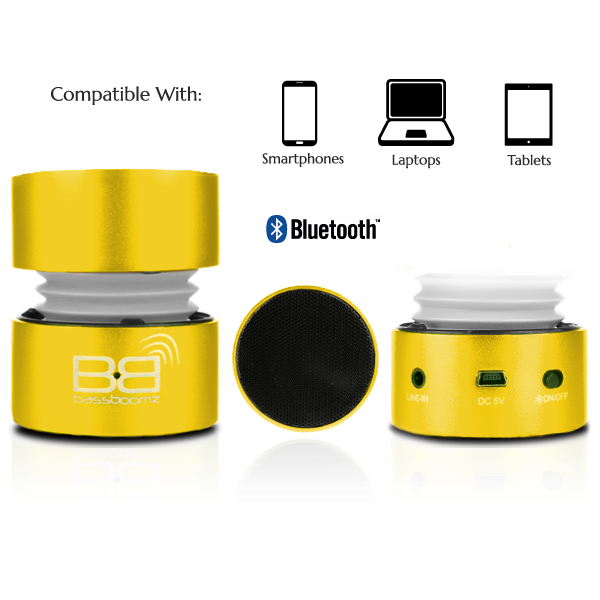 Don't get held down with cables with built in Bluetooth v2.1 with EdR which allows for enhanced data rate. 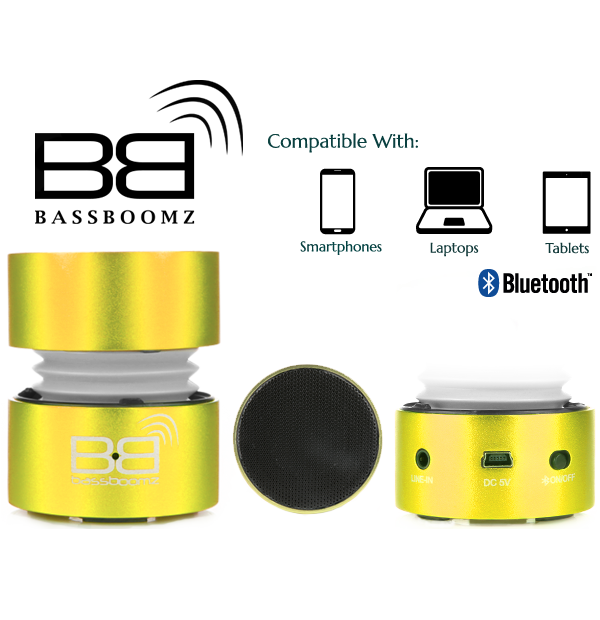 It also enables secure simple pairing, allowing for the perfect wireless speaker experience. 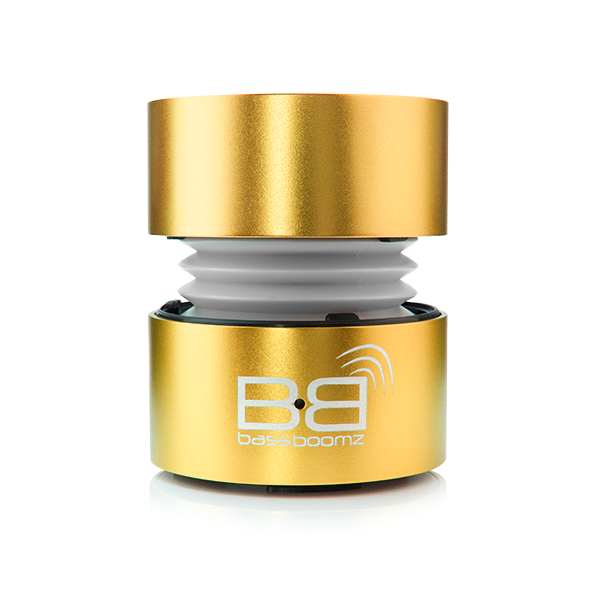 The bass expansion system can be closed up when you have finished listening to your favourite songs, allowing for an ultra portable sound experience like no other. 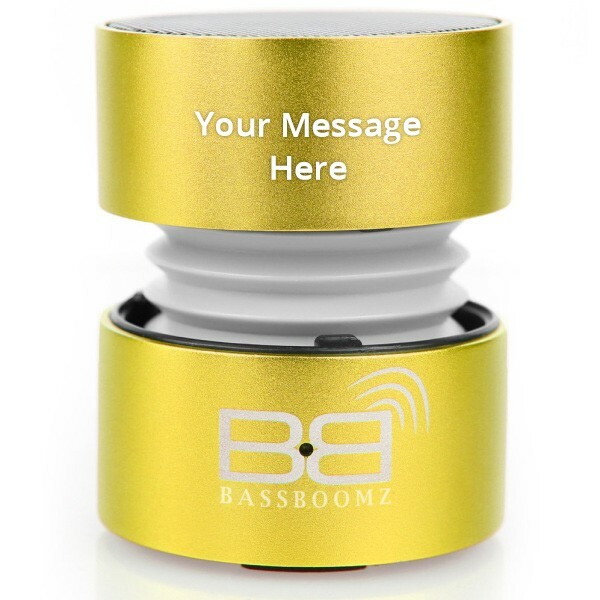 All bassboomz come equipped with a 3.5mm AUX input as well as a bluetooth connection allowing you to connect up to any music playing device.